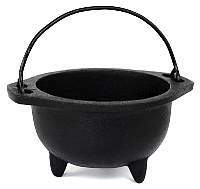 The Cauldron can be the focal point in your sacred circle for your ritual, spellwork and altar. 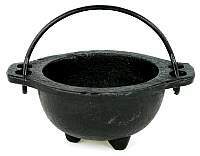 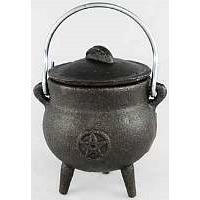 It is an indispensable tool for any Pagan, Wiccan or Witch. 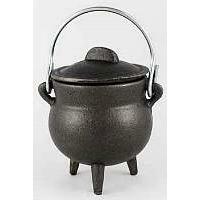 It can hold the ingredients necessary for a spell or incantation. 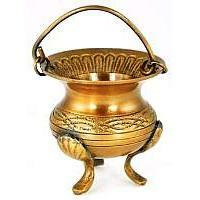 One of the main uses is it used to burn items that will be lit during a ritual. 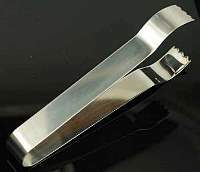 It can represent all 4 elements. 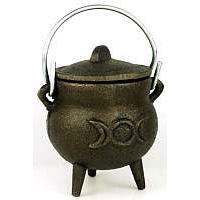 You can burn herbs, incense and other items which represent earth. 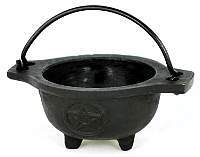 When lighting your items in the cauldron it represents fire and the smoke is air. 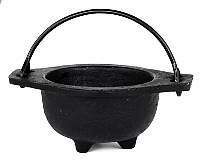 Water can be placed into a cauldron for scrying (a method of divining the future) this represents water. 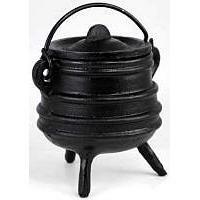 Also the 3 legs of the cauldron represent the triple aspect of the Goddess: Maiden, Mother and Crone. 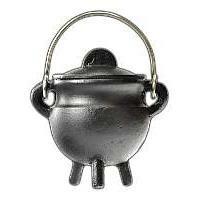 It is a symbol of the womb of the Goddess. 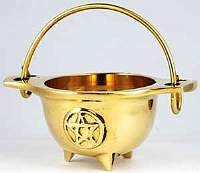 About this page: The Cauldron can be the focal point in your sacred circle for your ritual, spellwork and altar.